The doll quilt swap group always seems to have some really unique labels, and this round there is lots of fun labels! 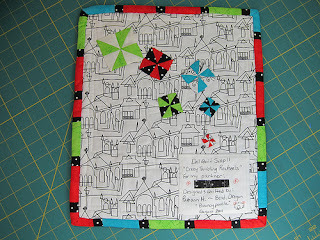 Bouncypoodle's quilt back and label is almost as amazing as the front! Hi Susan -- just wanted to let you know that your wish has been granted. 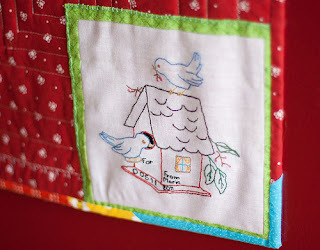 The Swedish Weaving / Huck Embroidery tutorial is in progress now on my blog. If you have a moment, I'd love to hear your thoughts about it. Have a great weekend! 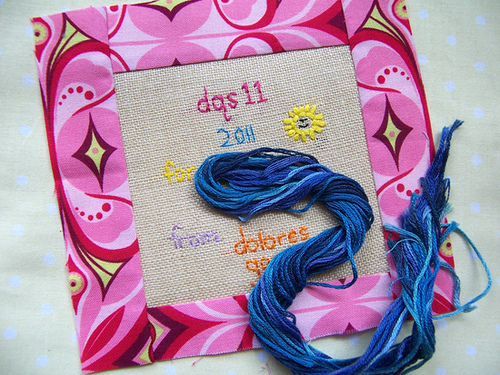 This is the OFFICIAL blog for the Doll Quilt Swap hosted over on Flickr. Accept no substitutes! Earliest send out date is Aug 9th, 2011 (international) and earliset send out daye is Aug 16th, 2011 (domestic). Due date for mailing internationally is August 16th 2011. Due date for mailing domestically is August 23rd 2011. MATERIALS: quality fabric, natural fibers/cotton, wool, linen. 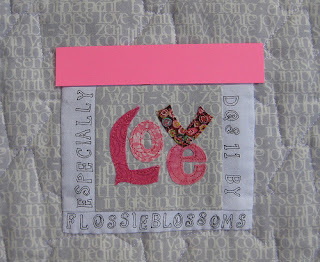 CONSTRUCTION: Pieced, appliquéd (needle turned only); must be quilted by hand or machine, not tied; and bound. 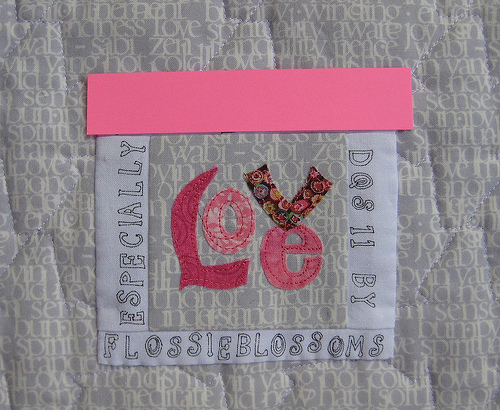 DESIGN: No art quilts this time, we're focusing on making miniature quilts like you would find on a full sized bed. If in doubt, ask your mama for advice. 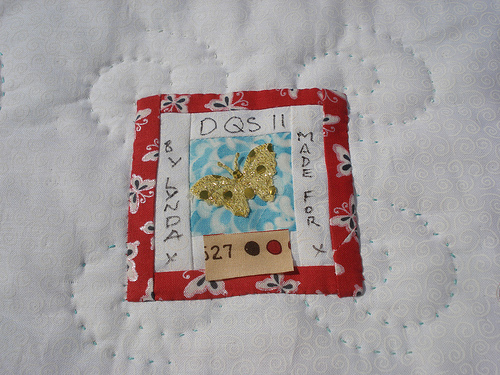 LABEL:Please create a label of some sort for the back of your quilt with your name, date, DQS11, where you live, and who its to. This is a secret swap. Your partner will not know your identity until they received your quilt. If you need to get in contact with your partner ONLY do so through your swap Mama. Group participation is mandatory. 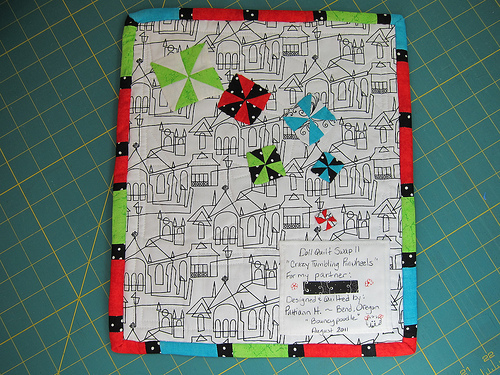 Please post photos of your WIP, and your completed quilt. Once you have received your quilt, post a pic of it, and be sure to email a thank you to your partner as soon as possible. Contact your mama to let her know when you send and when you receive. Comment on photos you like and join in discussions. This is a social group. 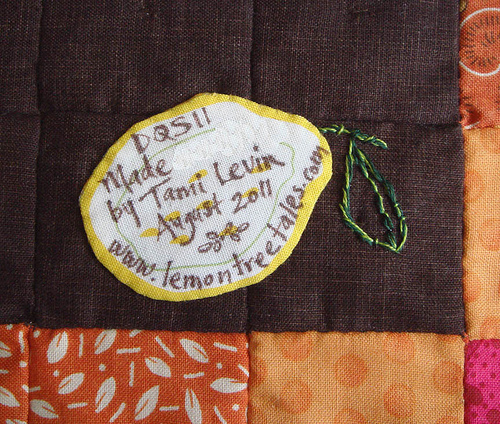 DUE DATE: The deadline for all quilts to be mailed is August 9th, 2011 (international), and August 23rd for those sending domestically . Delivery confirmation is required, within the U.S or within your own country. Also, DO NOT SEND TOO EARLY. Don't send your package BEFORE July 26th. If there is some reason you must, please contact your Mama first and discuss it with her. If for any reason you cannot meet the deadline please let your Swap Mama know ASAP. If you communicate any setbacks with us, we can make sure things work out favorably for your partner, with no hard feelings. One last thing, There will be no NEGATIVITY tolerated. If you are unhappy with your partner, for any reason, that needs to be a private matter between you and your Mama. She will take care of any issues that need to be addressed. Negative or whiny posts in discussions will be deleted immediately and its a good way to get yourself banned from the group. We are here to have FUN! !